There’s an eternal tale of a battle between good and evil. A world where miracles and resurrections are commonplace. Usually, the folk who believe it’s all real live in the South. In many ways, wrestling is a religious experience. The two industries have done business from David and the Goliath to Ellsworth and Styles. 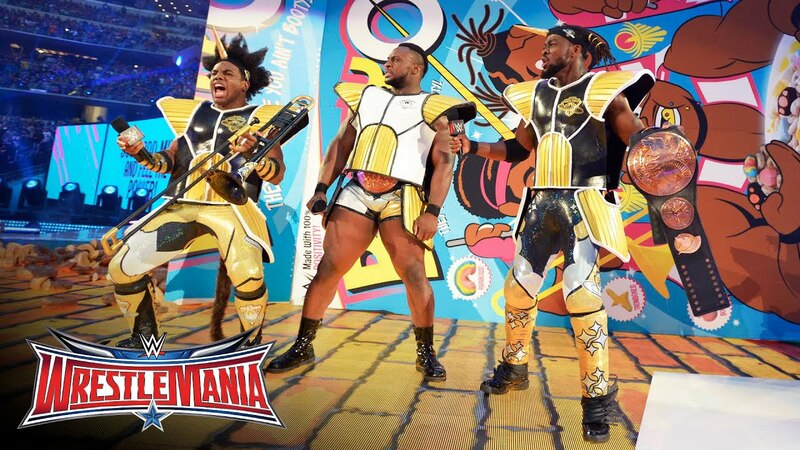 It can go both ways, the New Day start as a black gospel stable before making cereal and anime work. On the flip side, real people like Shawn Michaels can become born-again Christians. “There’s only one God […] and I’m pretty sure he doesn’t dress like that”, said a wise man. In equal wisdom, WWE CEO Vince McMahon knows best how to dress the big man in his in-ring debut. He doesn’t. He also books God to abandon the match leaving his tag team partner to lose. To keep the roster diverse, WWE have to talent search both above, below, bath, and beyond. These monsters are willing and ready to compete for belts, money, and material gain. Even in death, lives on the American dream.